(The Honourable) John William Maxwell Aitken was born in Montreal on 15th February 1910, the elder son of William Aitken, who was created 1st Baron Beaverbrook in 1916. 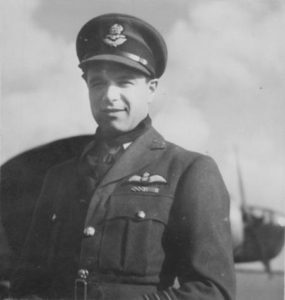 Educated at Westminster School and Pembroke College, Cambridge, Aitken joined 601 (County of London) Squadron, Auxiliary Air Force in 1935 and was commissioned in September that year. He was a noted member of the social set and a keen sportsman in the thirties and his photograph often appeared in society magazines. Aitken was called to full-time service with 601 on 26th August 1939. 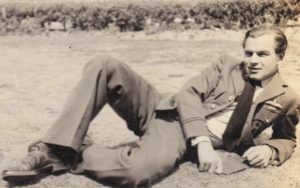 He took part in the squadron’s first operation on 27th November when six of its Blenheims joined with six from 25 Squadron to attack the German seaplane base at Borkum. 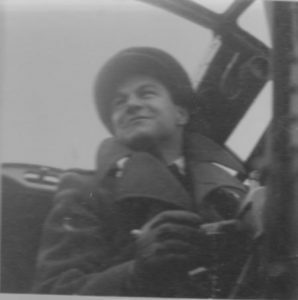 On 16th May 1940 Aitken flew to Merville in France with the Hurricanes of ‘A’ Flight of 601 to reinforce 3 Squadron. He claimed a He111 destroyed plus another probable over Brussels on 18th May, a He111 and a Ju87 on the 19th and a probable Ju87 and Me110 the same day and on the 23rd a Me109 damaged. 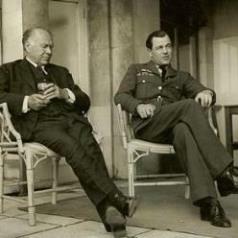 Aitken returned to England and in early June he was promoted to Acting Squadron Leader and given command of 601. He destroyed a He111 off Brighton during the night of 25/26th June. For this and his victories in France in May he was awarded the DFC (gazetted 9th July 1940). Aitken’s final victory with 601 came on 7th July 1940 when he shared a Do17 over the Channel with four other pilots. He was posted away on 20th July and did not return to operations until February 1941, when he took command of 68 Squadron at Catterick, newly-formed with Blenhein 1f’s for night-fighting. The squadron was declared operational in April 1941. 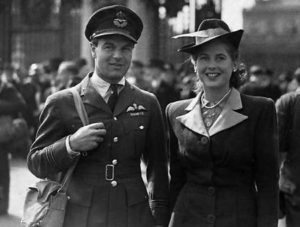 On 25th June 1941 Aitken, flying a Spitfire of 610 Squadron, shot down a Me109 during a sweep over the coast of France. Still commanding 68 Squadron, then flying from Coltishall mostly with Czech crews, Aitken destroyed a Do217 on the night of 30th April/1st May 1942 and shot down another during the night of 29/30th May, also damaging a Ju88. On 23/24th July he destroyed a Ju88 and a Do217. He was awarded the Czech Military Cross (gazetted 11th August 1942), the DSO (gazetted 14th August 1942) and the Air Efficiency Award (gazetted 1st January 1943). 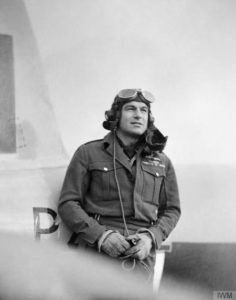 With his operational tour completed, Aitken was posted away in January 1943 and in February he went to HQ Eastern Mediterranean to serve in the Fighter Tactics Branch. On 5th March 1944, at night over the Aegean Sea in a Beaufighter of 46 Squadron, Aitken shot down two Ju52’s, probably destroyed a third and damaged a fourth. He returned to the UK later in the year, to command the Banff Mosquito Strike Wing, operating in Norwegian waters against German shipping. 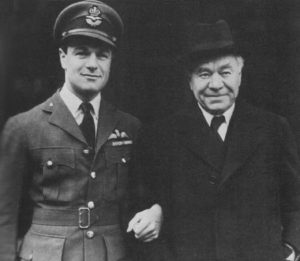 After being released from the RAF in early 1946, as a Group Captain, Aitken again took command of 601 Squadron in June and held the post until 1948. He had been returned as a Conservative Member of Parliament in the 1945 General Election, holding the seat until 1950. In 1968 Aitken became Chairman of Beaverbrook Newspapers and then President in 1977, an appointment he held until his death on 1st May 1985. Max Aitken had succeeded his father as Lord Beaverbrook in 1964 but on 11th June of that year he disclaimed the barony.